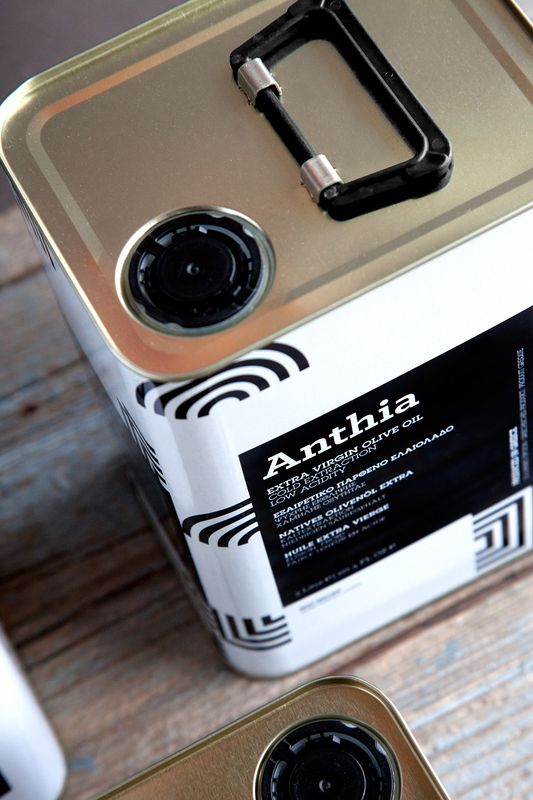 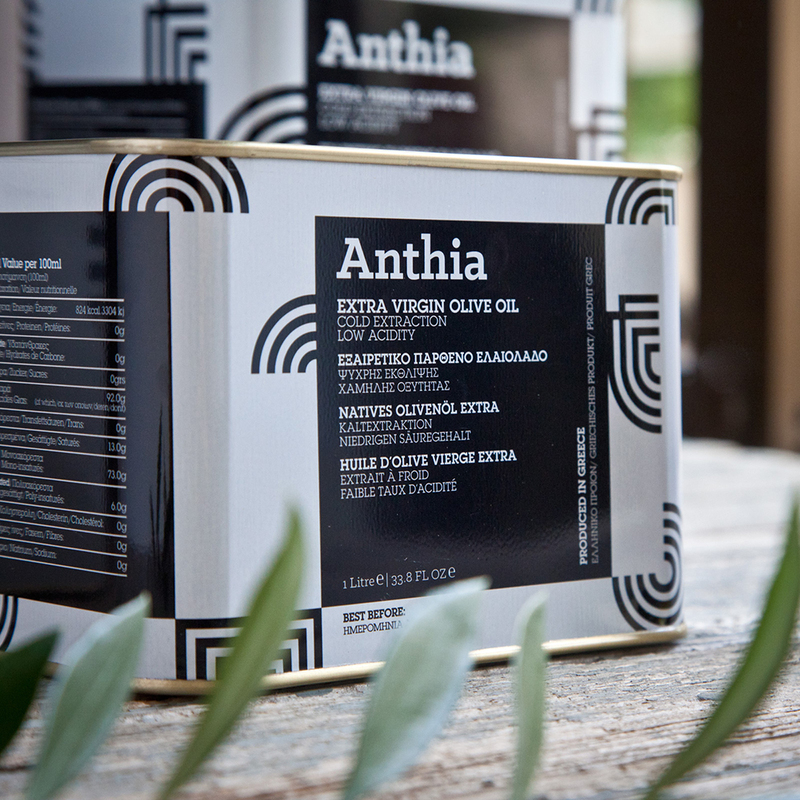 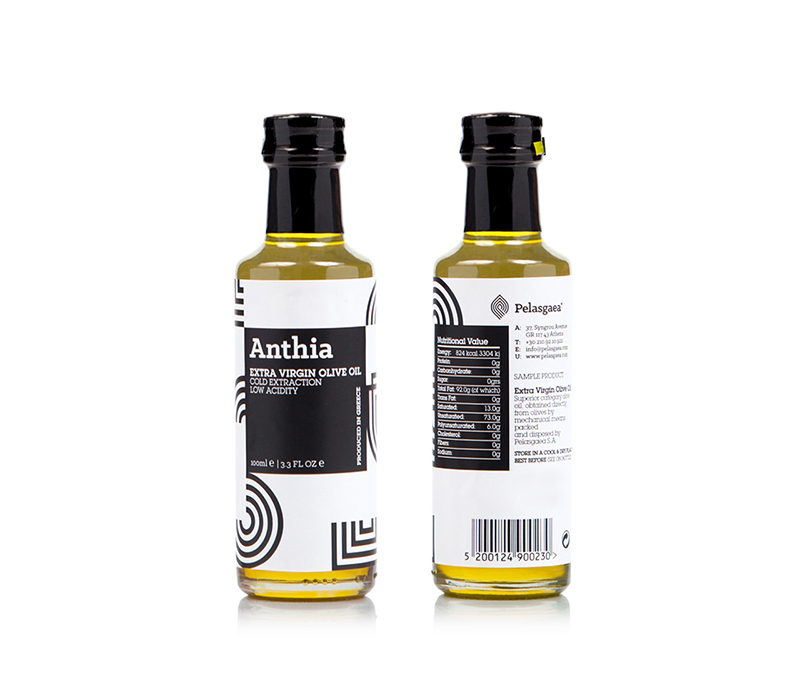 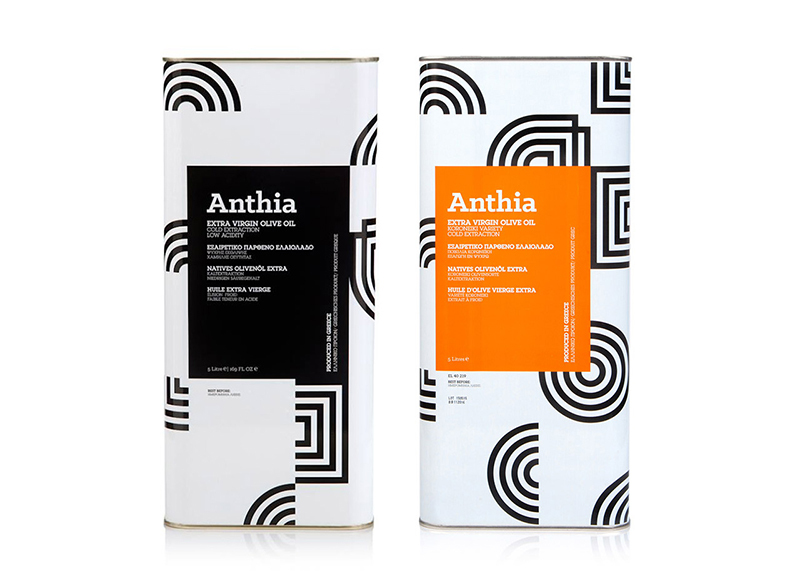 Anthia Extra Virgin Olive Oil is a product line by Pelasgaea S.A. from olive groves of the region of Fthiotida. 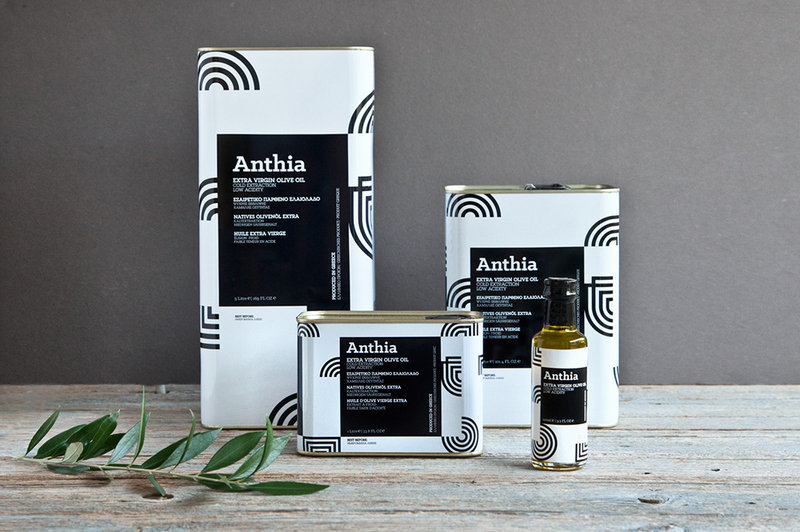 Their privately owned olive groves are located on the fertile lands of ancient Fthia, birthplace of the Pelasgians, land of Achilles, known since antiquity for its quality cultivation and production of olive trees. 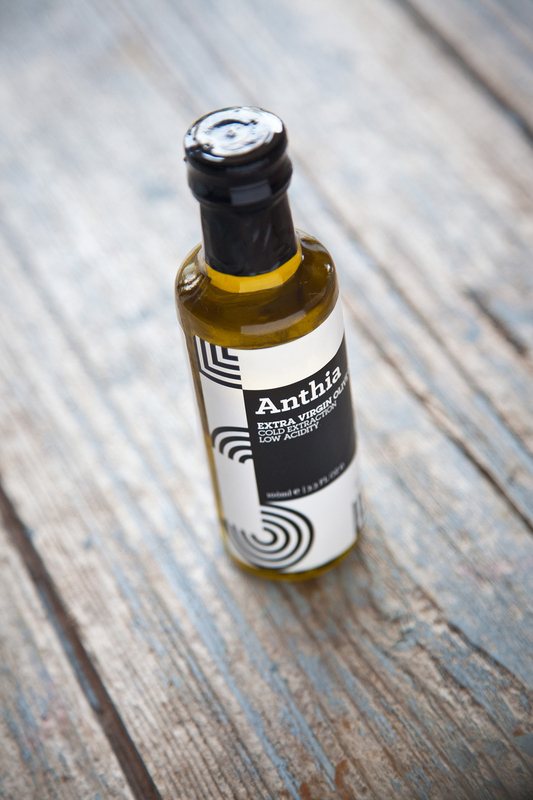 The goal for this product line was to be sold wholesale in restaurants and ships. 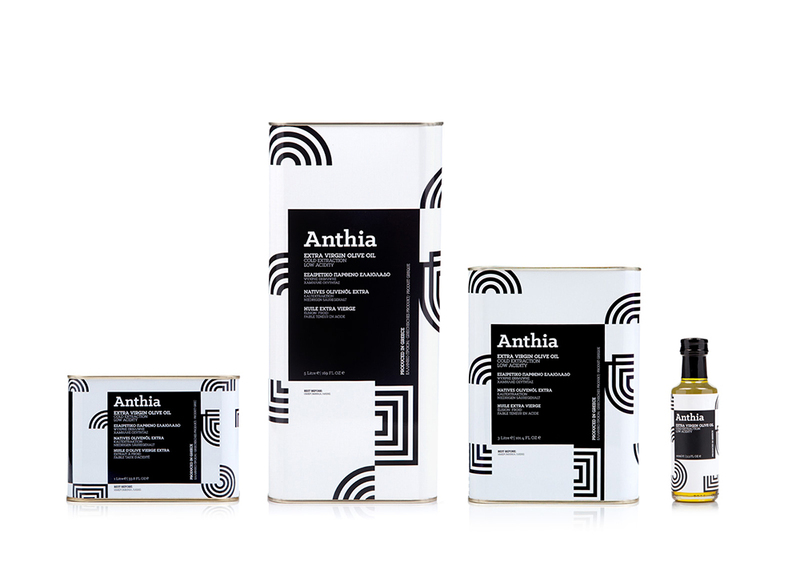 For the packaging design we came up with a simple square grid that it’s filled with elements that comes from the companies graphic identity. 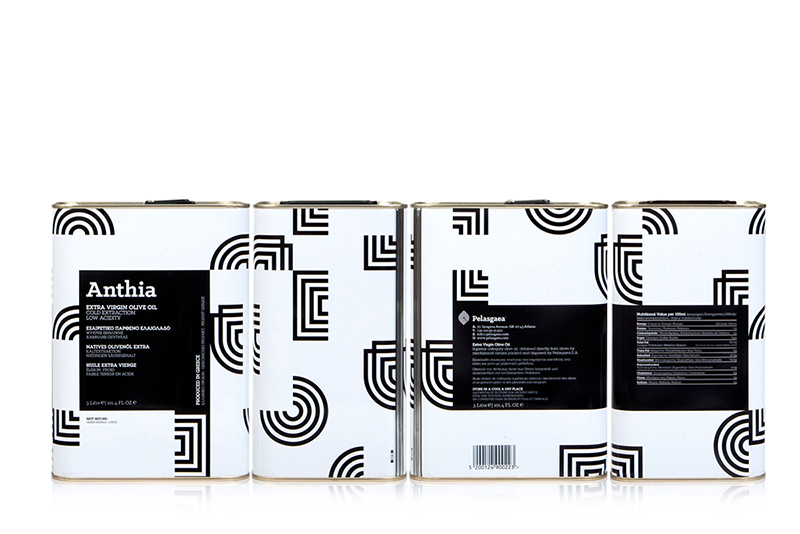 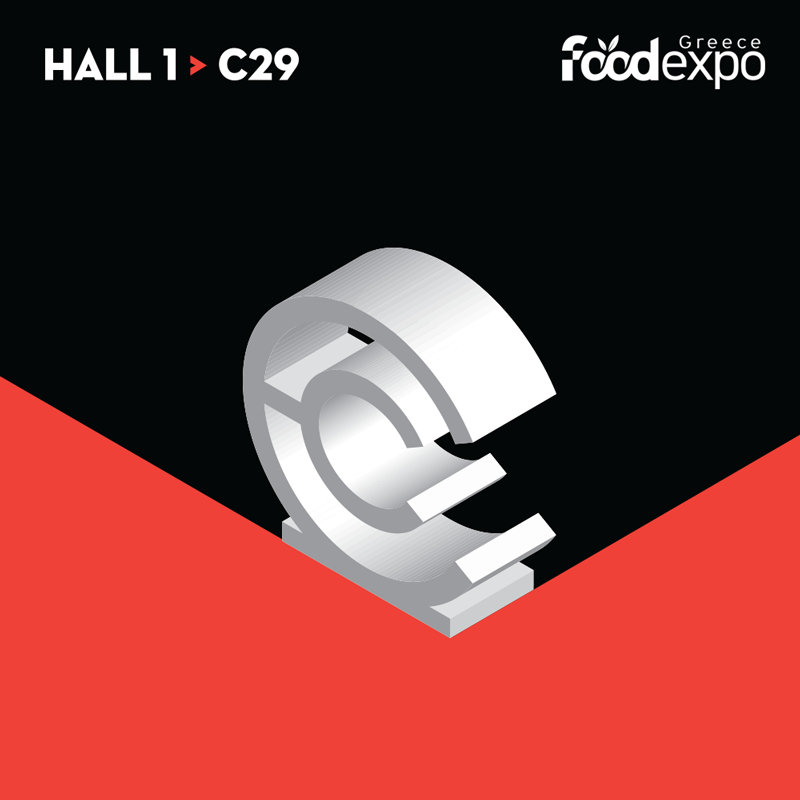 The typography is placed in black boxes in order to stand out. 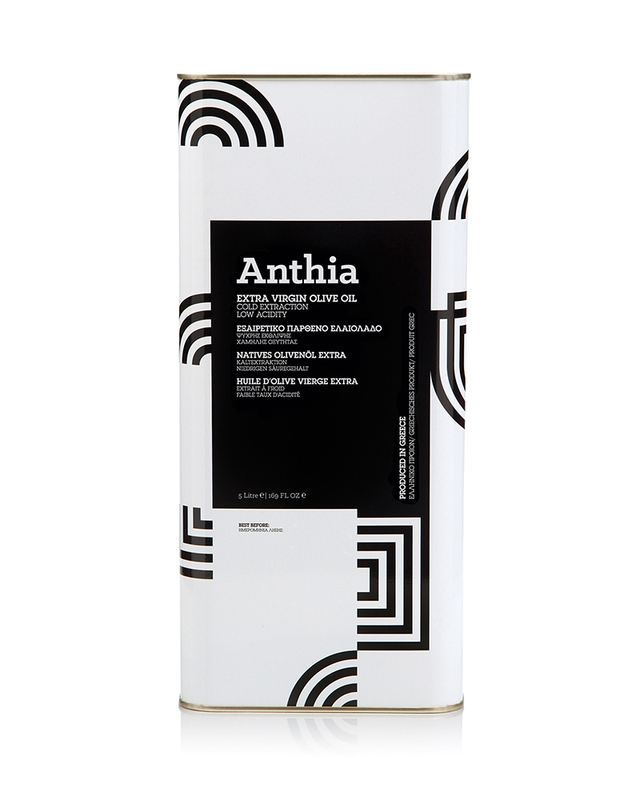 All work is printed in one single pitch black ink to reduce the cost of production. 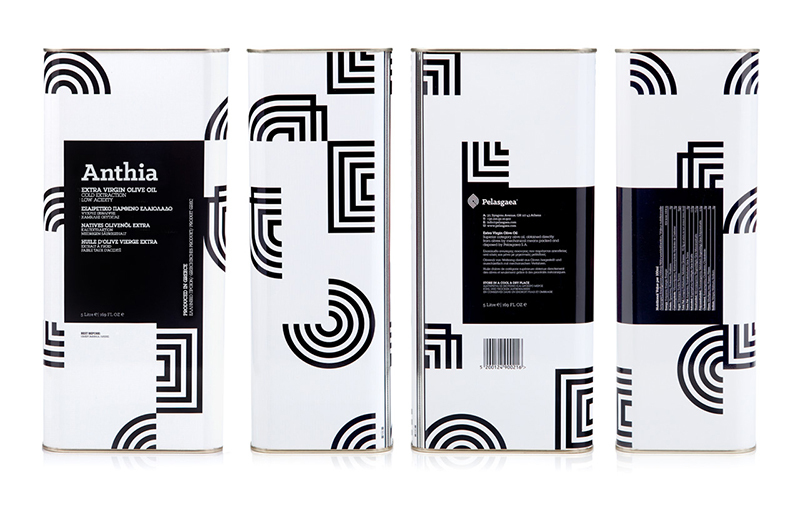 It comes in three sizes, 1Lt, 3Lt and 5Lt and a small 100ml that comes as sample. 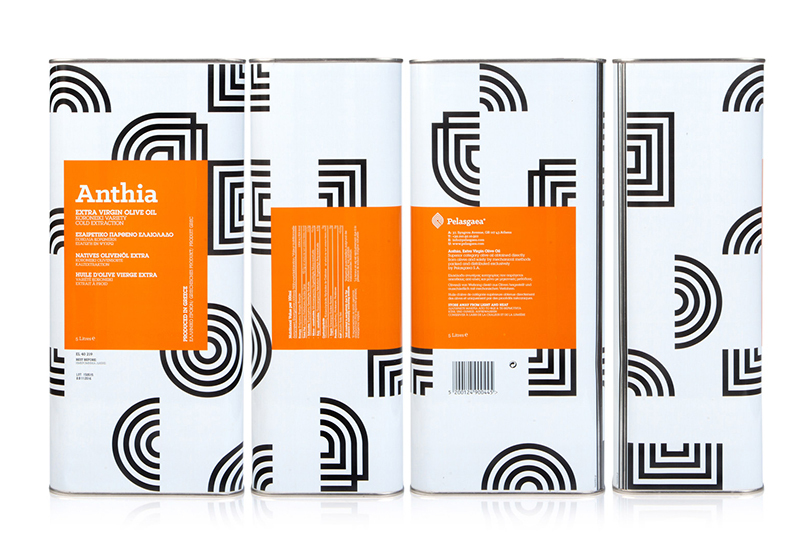 In 2015 a Koroneiki Variety 5Lt, with the orange stripe, was added to the family. 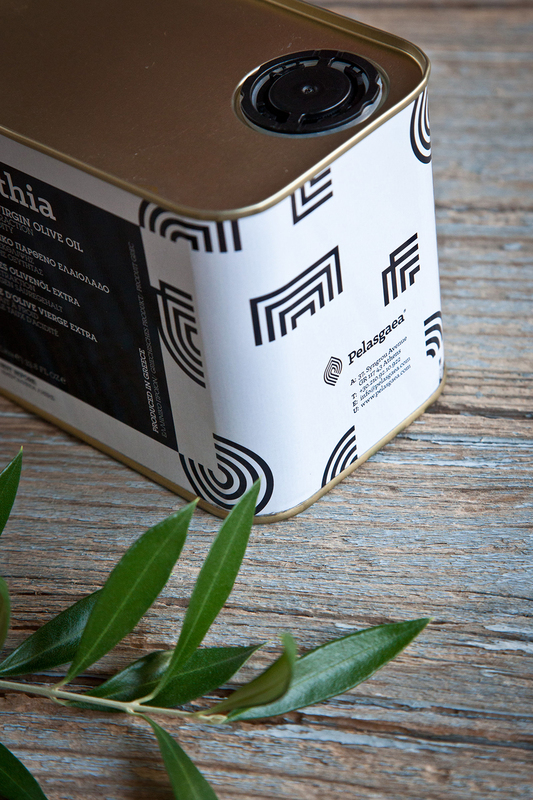 The work was printed by Lefka.